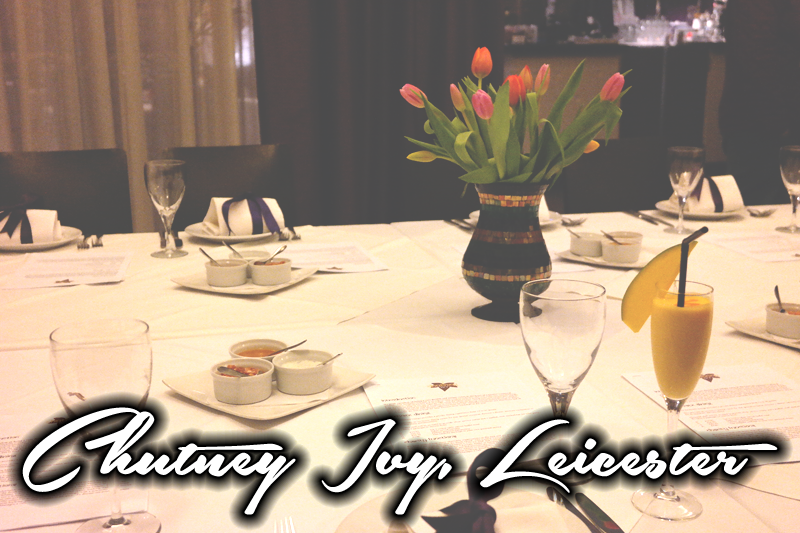 CHUTNEY IVY VIP DINNER, LEICESTER - Sugar, Darling? I have something to admit... 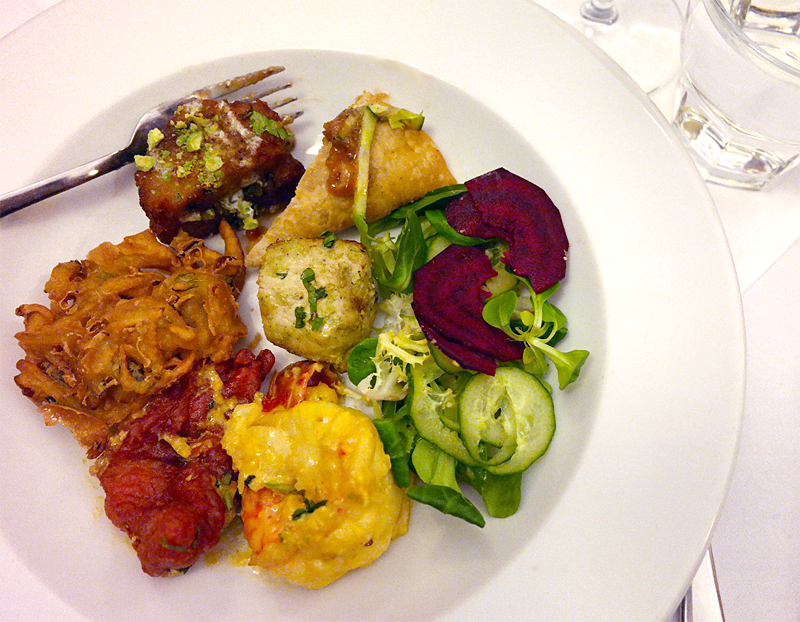 I'm a bit of a snob when it comes to Indian food. Not in that I don't like it, but in that I have a lot of experience of it an so it takes something special to impress me. This is partly due to the influence of my dad who was born and bred in Birmingham the supposed curry capital of the UK and partly because I have grown up in Leicester where nearly 30% of the population are Asian Indian, meaning that I have easy access to some excellent authentic cooking and have done since I was a little girl. I'm sure a lot of people are of the opinion that one Indian restaurant is much like another (and sadly this is probably true a good proportion of the time) but I can promise you this is not one of those occasions. Chutney Ivy is a beautiful restaurant. Set in a large, airy building on Halford Street in the Cultural Quarter of Leicester, it's a breath of fresh air compared to most restaurants in the city with it's high ceilings, bare brick walls and best of all - space! The look is contemporary with splashes of tradition, welcoming yet cool which is a good indication as to the menu which is full of delicious traditional dishes from around India plus some nice contemporary twists imagined up by the General Manager Shaf Islam and the team of wonderful chefs. We arrived and were taken into the private dining area, a lovely space divided from the rest of the restaurant by a curtain of lovely swathes of fabric which could be moved around to make the area bigger or smaller depending on the amount of space required - a very clever idea! 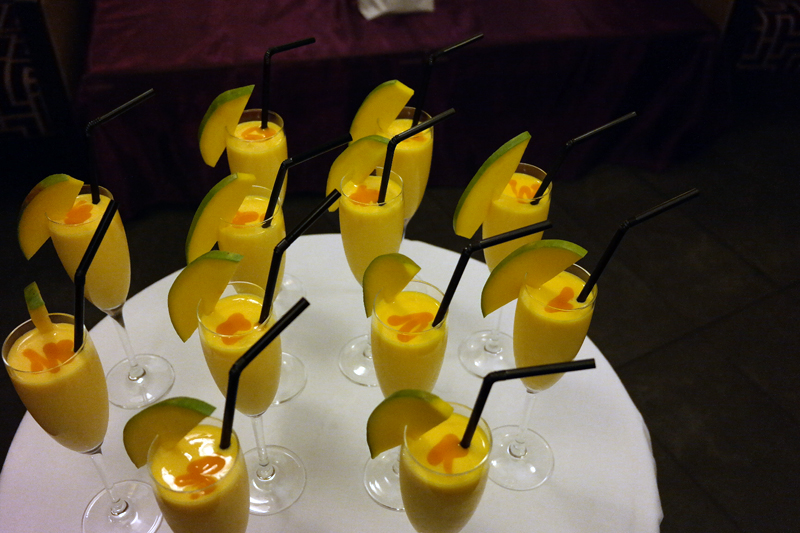 We were welcomed with glasses of mango lassi (one of my favourite things, hoorah!) and spent a lovely few minutes mingling and chatting while all the guests arrived. It was a friendly mix of local media and PR folk, food critics and bloggers and it was clear that everyone there was buzzing with excitement and a healthy passion for food! 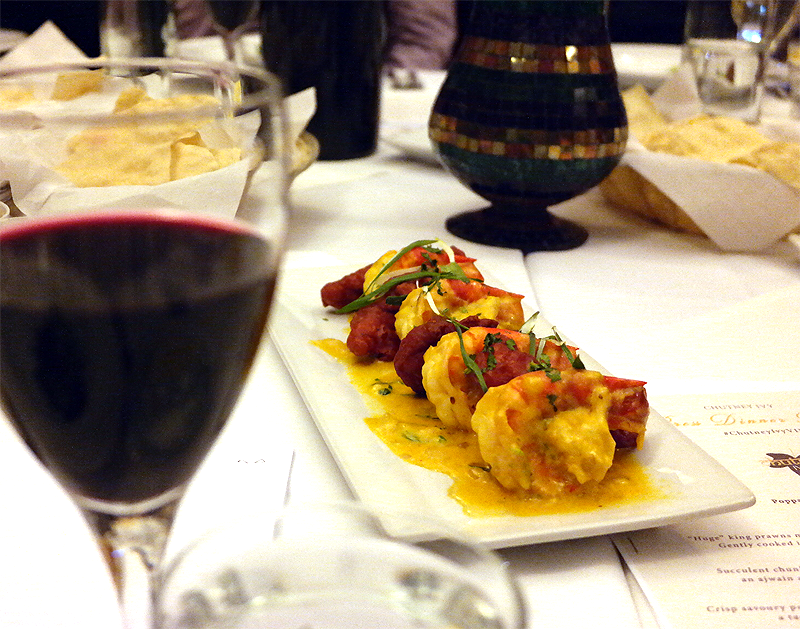 We took our seats and nibbled on poppadums, pickles and chutneys Shaf and Kevin Urqhart of FU Media introduced us to the restaurant, what the evening entailed and told us a little more about Chutney Ivy's philosophy, philanthropy and passion for fine Indian dining. I learnt so much in just these few minutes - there's nothing like some education to fuel your hunger! Out came the starts and we all dove in. We enjoyed a great selection of treats from the menu including the restaurant's signature samosa made with spiced duck meat rather than lamb which was delicious. I'm very pleased to report that they were made with a delightfully crisp dough - nothing annoys me more than a 'samosa' made with filo pastry I can tell you! The onion bhaji and fish pakora were also delicious and perfectly cooked and the chicken tikka (which was not telephone box red) was spiced to perfection. Another star for me was the Aloo Palaak ki Tikki, crisp fried potato cakes sandwiched around spinach and a little creamy sauce and crushed pistachios - yum! The star of the show however was undoubtedly the Jingha Rowshne, absolutely massive prawns that had been marinated in garlic and chilli butter and then cooked to juicy perfection in a cream, coriander and spring onion sauce. Probably the best prawn dish I've ever had, and I blooming love prawns! After a short break and another illuminating introduction to the dishes we were about to try, out came the mains. There were some real stars here for me, particularly the sea bass fillets cooked in a Bengal style sauce which was not too heavy for the delicate fish flavour. 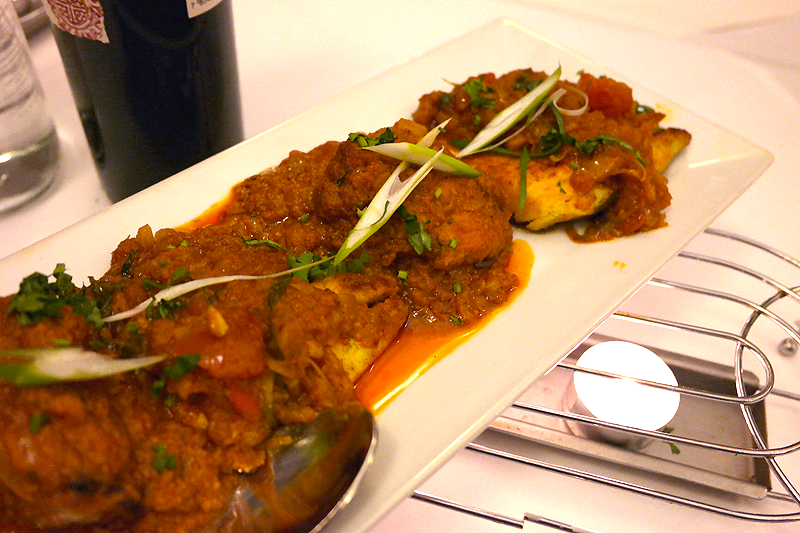 I adore curried fish and this really was a winner, as was the salmon fillet massala that accompanied it. 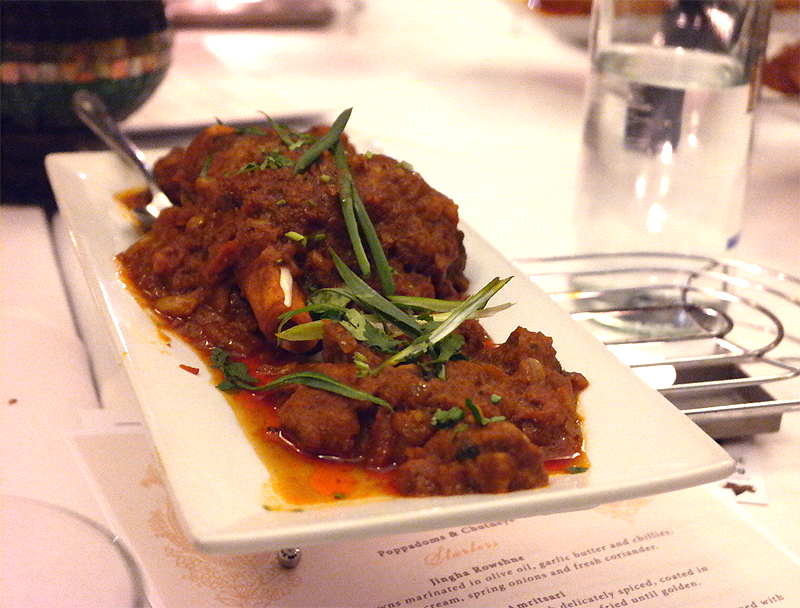 The big wow came in the form of lamb shanks, cooked in a tomato based, lightly spiced sauce. The meat was falling off the bone, tender and beautifully rich which the sauce tempered perfectly. This is the genius creation of the head chef, another example of the modern take on traditional dishes that Chutney Ivy is famous for. Another wow for me were the Makhni Daal and the Pumpkin Bhuna. Daal is one of those things that can be very middle of the road but in this case was fragrant, rich and perfectly balanced with a nice bite from the type of lentils used. 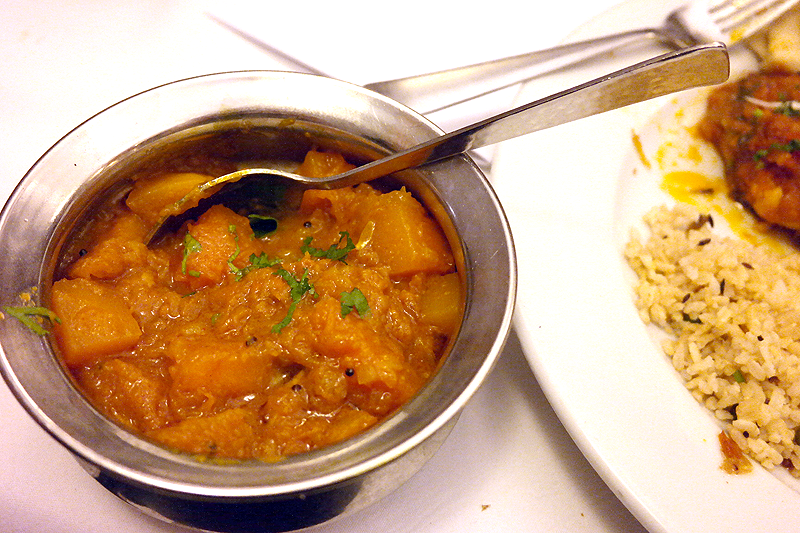 The Pumpkin Bhuna was another treat as I'm a big pumpkin fan but have never seen it on an Indian menu before. The naturally subtle taste of the pumpkin flesh was really brought to life by the bhuna sauce and was a dream wrapped in some of the best paratha I have ever tried. It's safe to say I was already uncomfortably full but I just can't say no to a khulfi! 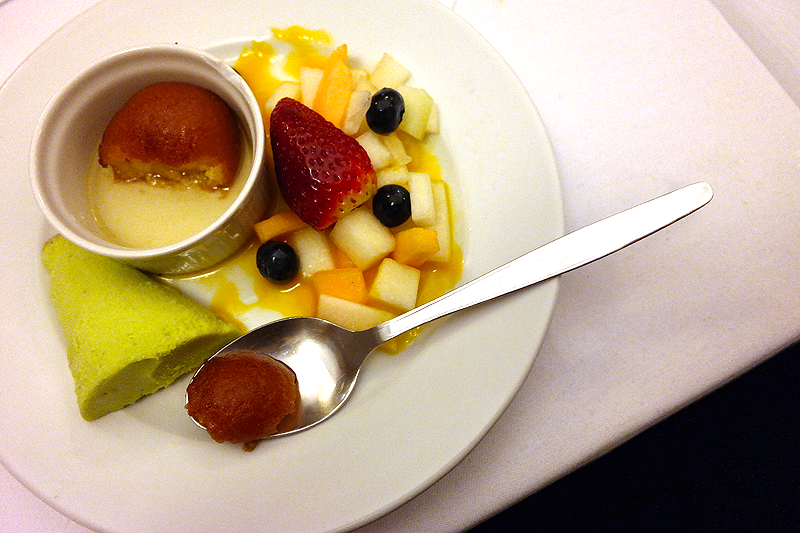 Thankfully we were given a nice small portion along with a fresh fruit salad straight from Leicester Market and a plump ball of Gulab Jamun in a sticky sweet aromatic syrup. All traditional desserts but all very well done. I must say I was really impressed by Chutney Ivy and I will definitely be heading straight back there soon with my husband so he too can experience that delicious lamb shank! The restuarant regularly hosts charity dinners so I think this would be the perfect excuse for another visit!